OTC started off this Monday (04/05), and scheduled events showcase the Brazilian market. The Brazil-Texas Chamber of Commerce (BRATECC), partnered with the Consulate-General of Brazil, organizes a parallel event to the Conference, early this evening at the St. Regis Hotel. 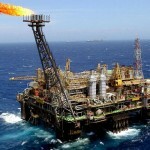 The Brazilian Minister for Mines and Energy, Eduardo Braga will conduct a presentation on the opportunities found in the Brazililian market for American companies, and should use the occasion to make the official announcement of the 13th round of bidding for oil blocks, slated for October. 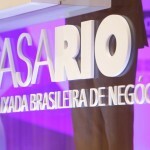 On Tuesday (05/05), it is Rio Negócios’ turn to have an event with journalists to promote Rio de Janeiro as World Oil Capital during this coming October, when the city will host two of the largest global oil industry events – OTC Rio and the meeting of the 22 energy cities, the World Energy Cities Partnership (WECP). For this occasion, accompanying the president of Rio Negócios, Marcelo Haddad, will be Christine Sagen Helgø (Mayor of Stavanger and Chair of the WECP) and Milton Costa Filho (Secretary General of IBP).